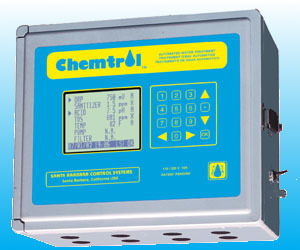 The CHEMTROL® PC3000 Controller is a programmable control system that offers complete chemical automation (ORP, PPM, and pH) plus control of conductivity or TDS, water balance with Langelier Index, temperature and heater control. 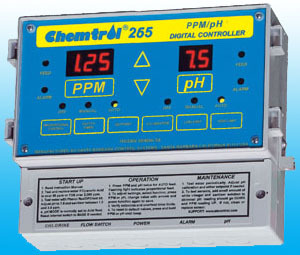 The CHEMTROL® PC2000 Controller features automatic control of ORP and pH with display of the Langelier Saturation Index. 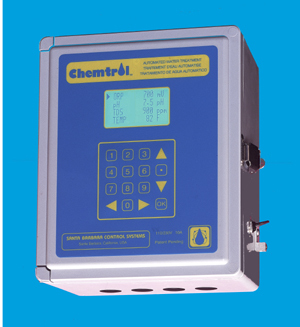 Options include ppm readouts, conductivity (or TDS) and temperature monitoring and remote control with true duplex operation. 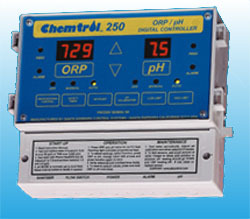 The CHEMTROL® PC2100 Controller features automatic control of ORP and pH with display of the Langelier Saturation Index. Options include ppm readouts, conductivity (or TDS) and temperature monitoring and remote control with true duplex operation. 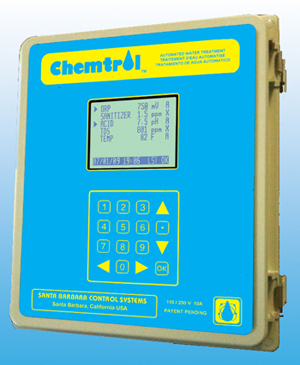 The CHEMTROL® 250 is a microprocessor-based digital controller designed to maintain both sanitizer ORP (oxidation-reduction potential or Redox) and water pH in high-end residential pools, small commercial pools and spas and light industrial applications. 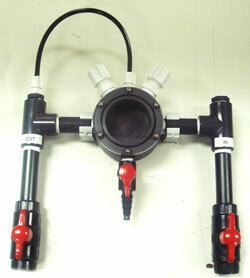 For new installations or upgrades.